A couple of our breakfasts this week. 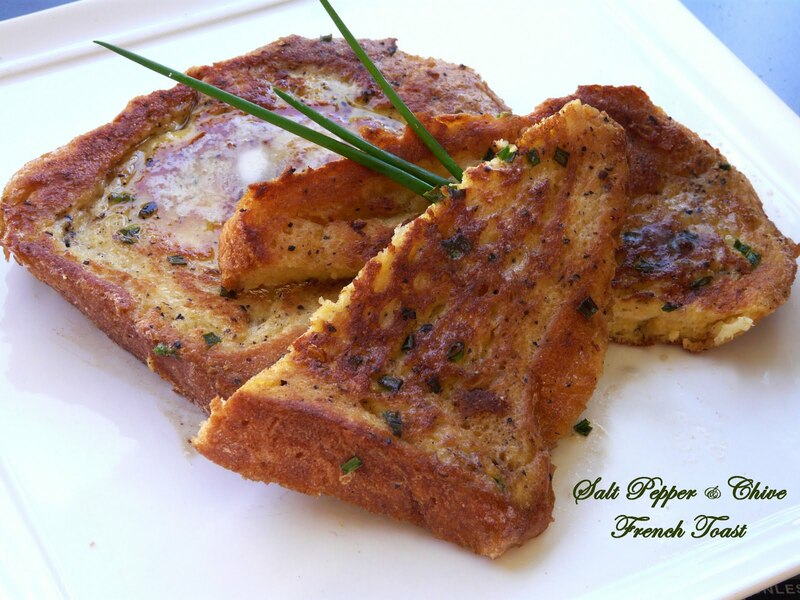 Although Moe prefers his French Toast smothered in real maple syrup, I have always perferred mine savory with butter and salt and pepper. for something different I also added fresh minced chives. OH MY!!!! It was so good. 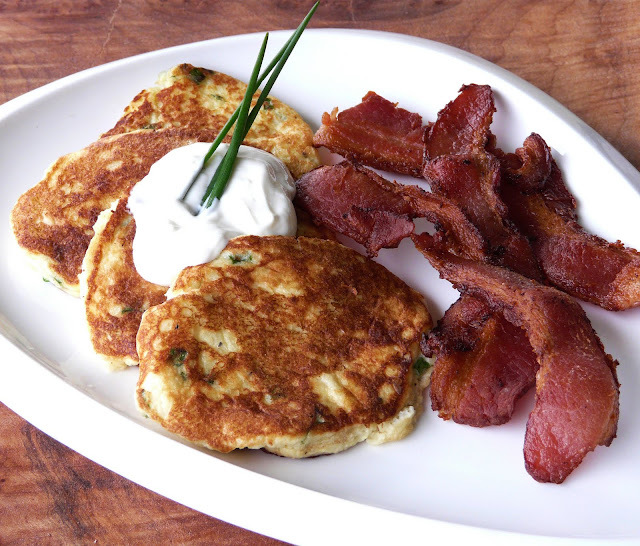 Another breakfast this week was Potato Pancakes. These are made from mashed potatoes. if you have leftover mashed that will work too.